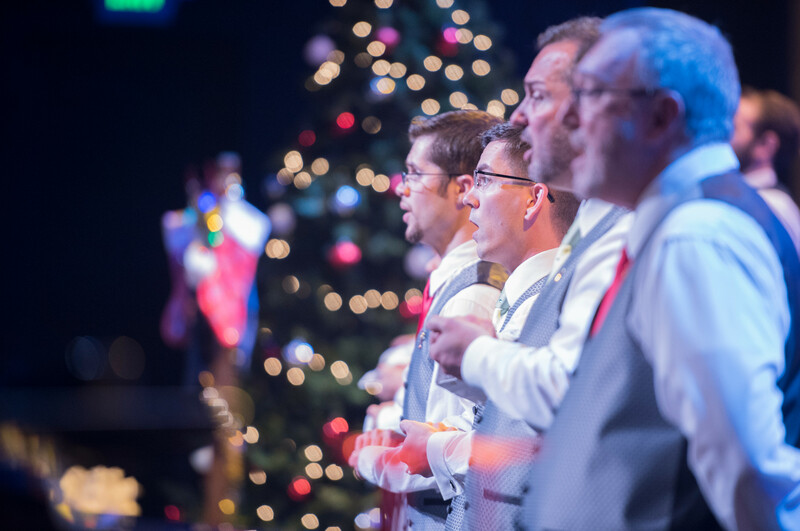 James Wilson is one of the chorus’s larger than life figures. His laughter, his regular rehearsal refrain of “I have a question,” his spirit of friendliness to everyone, are hallmarks of our time spent together as a chorus. Behind his public boisterousness is a spirit of commitment to this organization and, more importantly, to its members. 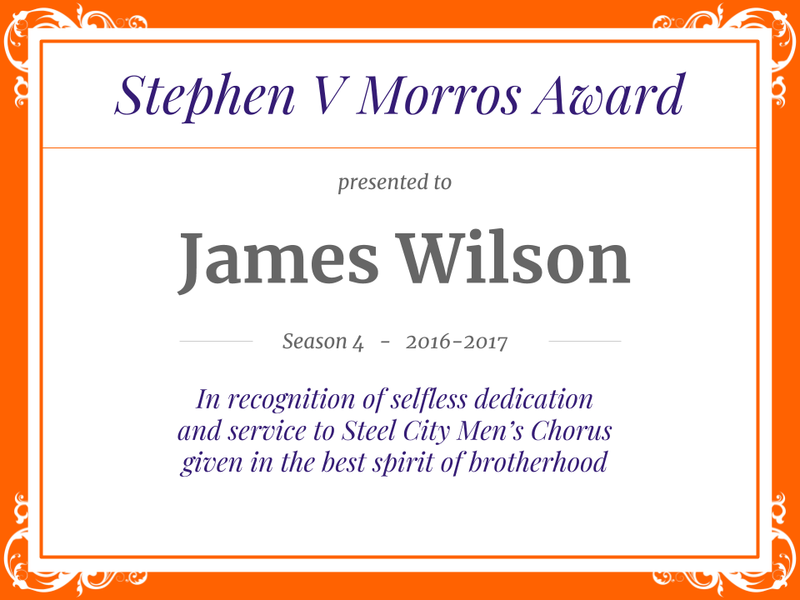 For all that he does as a public chorus leader, as a friend and brother to chorus members, and behind the scenes to help build our success, he is our first ever Stephen V Morros Award recipient.